The average foot perspires a pint of moisture per day. This moisture stays within the linings thus deteriorating the shoe. The moisture also magnifies the internal temperature of the shoe, thus creating potential discomfort. 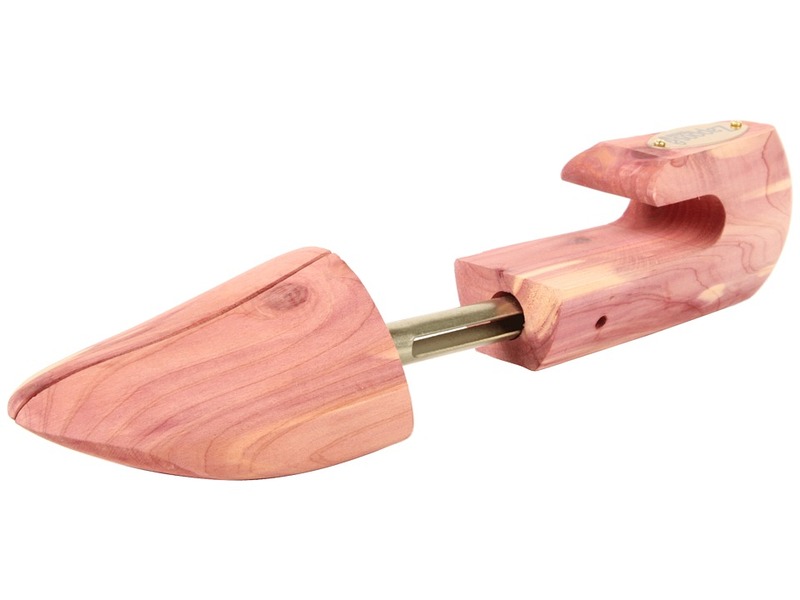 Full cedar shoe trees absorb damaging moisture from the linings of shoes, thus increasing the life of your shoes and making them more comfortable to wear. 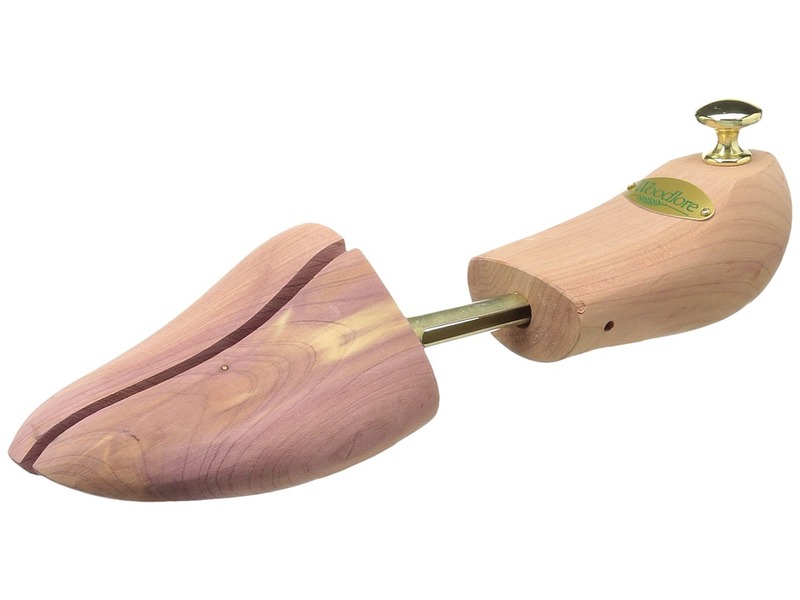 Kiln dried aromatic cedar shoe tree absorbs perspiration and maintains shoe shape. Combining and overhang heel with an expandable split toe, this highly functional tree is the perfect fit for all styles of footwear. Brass-plated steel hardware adds an elegant touch. The average foot perspires a pint of moisture per day. This moisture stays within the linings thus deteriorating the shoe. The moisture also magnifies the internal temperature of the shoe thus creating potential discomfort. 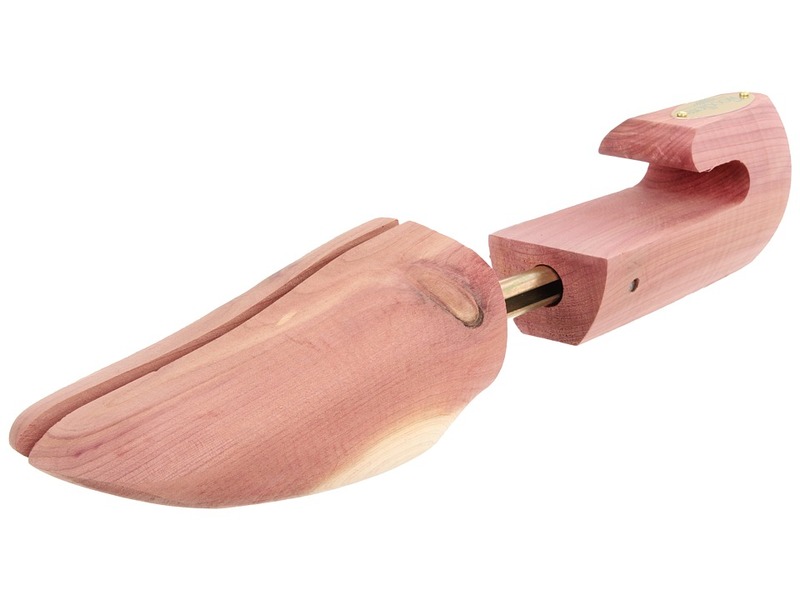 Full cedar shoe trees absorb damaging moisture from the linings of shoes thus increasing the life of your shoes and making them more comfortable to wear. 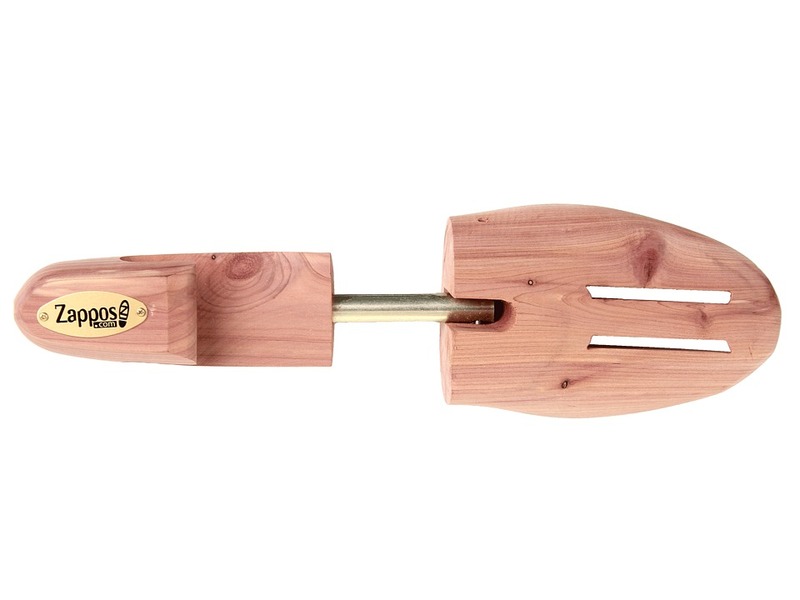 Kiln dried aromatic cedar shoe tree absorbs perspiration and maintains shoe shape. No matter the style, our boot trees keep boots looking their best. Built with a high crown for proper shape and support, the solid toe prevents cave-in and wrinkling. Easy grip heel makes removal a snap. Features zinc-plated steel hardware. Measurements: Weight: 4 oz Product measurements were taken using size LG (Men~s 9-10.5), width M. Please note that measurements may vary by size. Sold as a pair, one for each shoe! The average foot perspires a pint of moisture per day. This moisture stays within the linings thus deteriorating the shoe. The moisture also magnifies the internal temperature of the shoe thus creating potential discomfort. 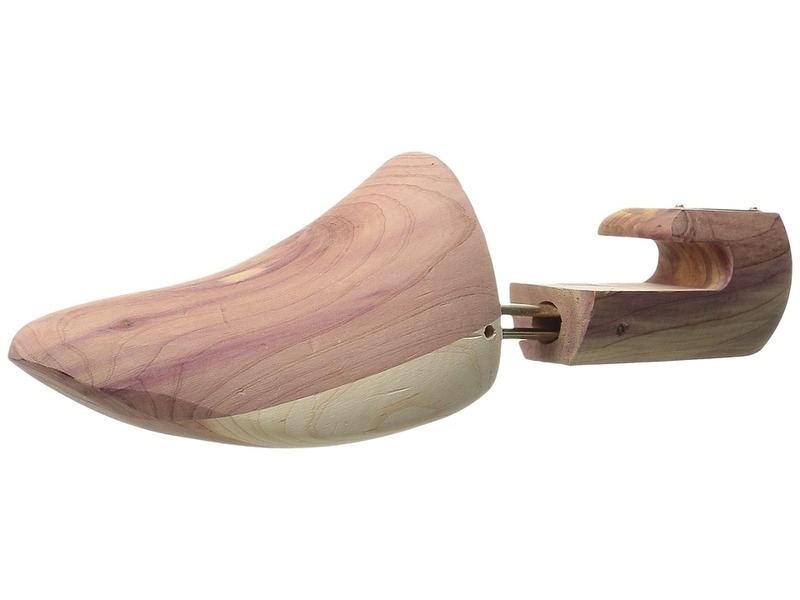 Full cedar shoe trees absorb damaging moisture from the linings of shoes thus increasing the life of your shoes and making them more comfortable to wear. Kiln dried aromatic cedar shoe tree absorbs perspiration and maintains shoe shape. Combining and overhang heel with an expandable split toe, this highly functional tree is the perfect fit for all styles of footwear. Brass-plated steel hardware adds an elegant touch. Solid Cedar valet features sliding top with bullet catch and built-in shoe support - just like at the shoe shine stand! Starter Kit II contains: Black, burgundy, brown and neutral Carnauba Shoe Wax. Four cloth applicators. Two Polish Daubers. Two horsehair Shine Brushes. Valet dimensions: 11 L x 8 W x 6 H.
This kiln-dried aromatic cedar shoe tree absorbs perspiration and maintains shoe shape while deodorizing with a naturally fresh scent. Adjustable split toe. Full contoured heel with a full vamp. Handsome polished brass knob and brass plated steel hardware complete the look. Measurements: Weight: 13 oz Product measurements were taken using size LG (US Men~s 10-11.5), width M. Please note that measurements may vary by size. 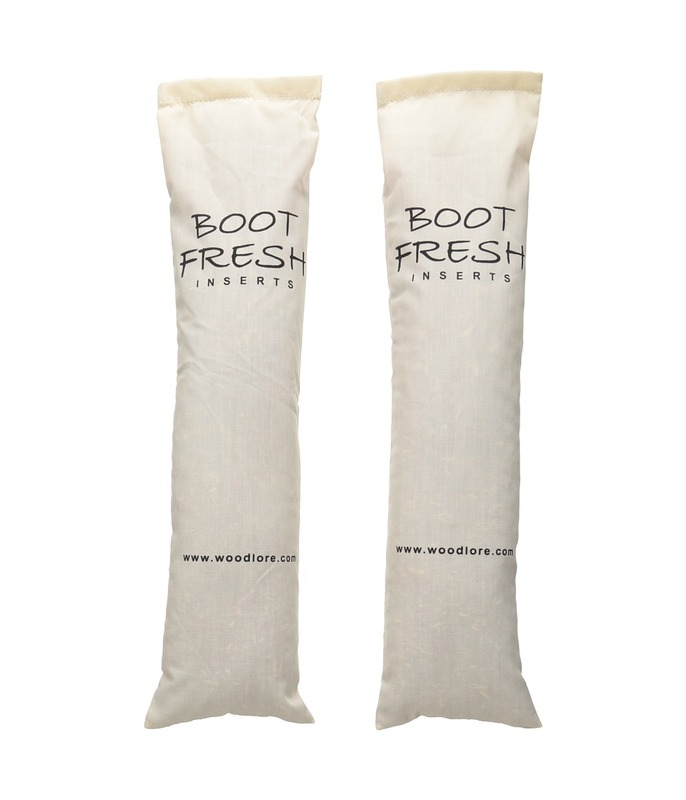 The Woodlore Boot Fresh Inserts are your boot~s desserts as they keep your shaft crease-free and fresh! Sold as a one-pair pack. 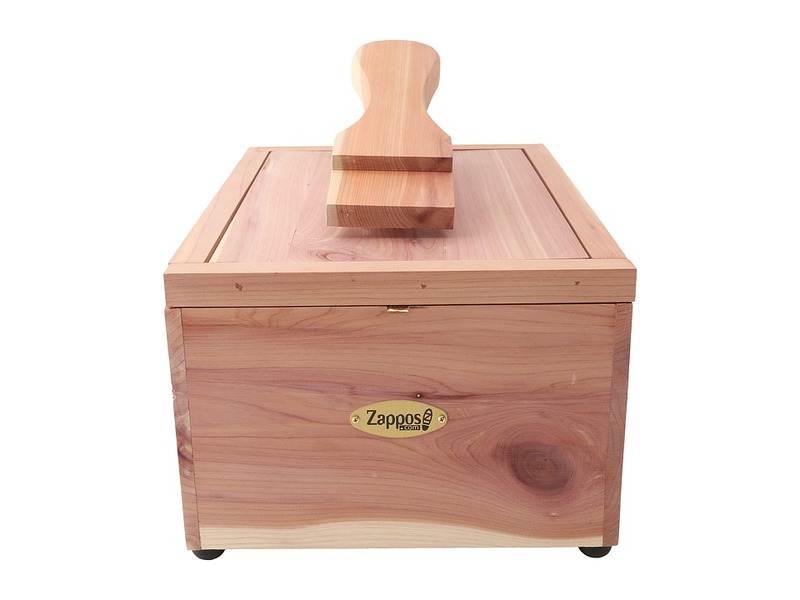 Filled with 100 percent natural aromatic cedar chips. Moisture absorbing to help neutralize odors. Made in the USA. 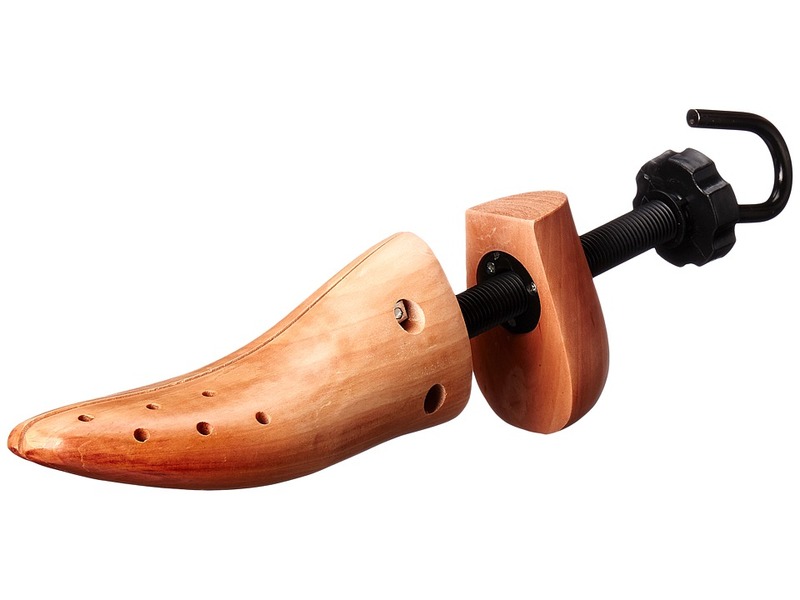 Add half an itch or two with the Woodlore Shoe Stretcher! Sold as a single unit. Interchangeable between men and women~s shoes and can be used for both left and right shoe. 12 holes offer pressure point relief. Has threaded steel rod for reinforcement. Materials: 100 percent hardwood Imported. Measurements: Weight: 1 lb 14 oz Product measurements were taken using size XL (US Men~s 12-13, US Women~s 13-14), width Medium. Please note that measurements may vary by size.